I had seen these spinach muffins floating around Facebook for a while. A friend, who also has a 1-year-old, made them and inspired me to finally do it too. I tweaked the original The Green Forks recipe, following her lead. I’m going to list what I did, which worked out well. My changes included using coconut oil instead of canola, using 2 5 oz. bags of spinach instead of 1 6 oz. bag, using spelt flour instead of a mixture of all-purpose and whole wheat and using applesauce and honey in place of sugar. (Find the original recipe via the link above). This recipe made about 40 mini muffins and is supposed to make 16 full-sized muffins. 1. Preheat oven to 350 degrees. Line your muffin tin with paper liners or set silicone liners on a baking sheet. 2. Whisk together dry ingredients in a large bowl: flour, baking powder, baking soda, cinnamon and salt. 3. In a blender place rest of ingredients except banana and vanilla. Blend on high for 30+ seconds. I used a Vitamix, so I was fortunate to be able to use the tamper to push down the spinach and get it well incorporated. I’m not sure if it was because of the extra spinach or not, but without this, I don’t think it would have blended together as easily. Pre-chopping it in the food processor may have been necessary or scraping down the sides with a spatula to get the spinach in there. 4. Add banana and vanilla, blend on low just to mix. 5. Pour pureed mixture into dry mixture and fold together with a rubber spatula until completely combined . 6. 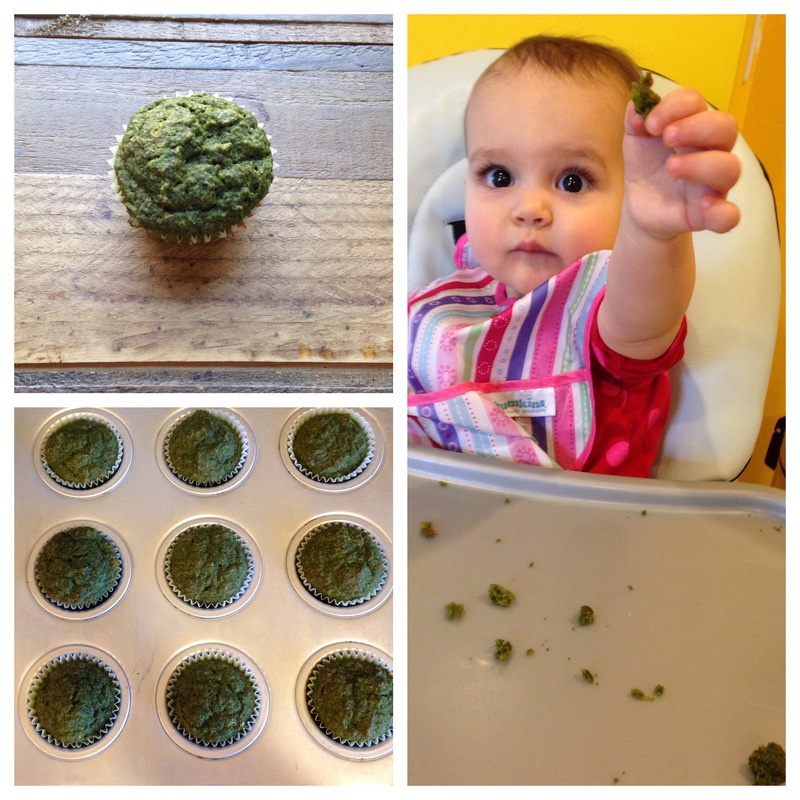 Fill muffin cups about 2/3 full and bake 18-20 minutes or until a toothpick inserted in the center comes out clean. Making mini muffins, I thought I wouldn’t need to bake them as long, but I ended up baking them for the full amount of time.